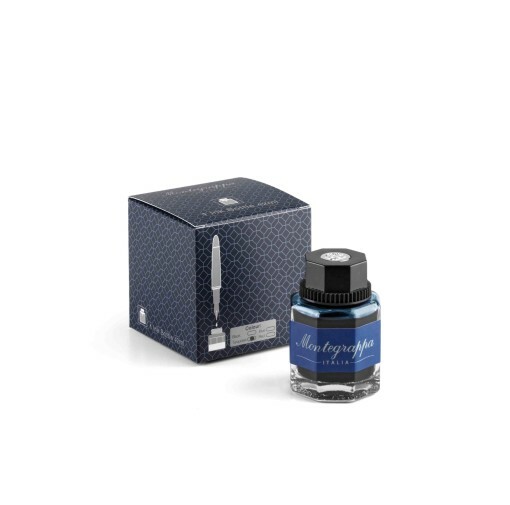 This marvelous collectable for all the fans of the legendary Montegrappa Extra is finely crafted with a number of surprisingly matched materials. 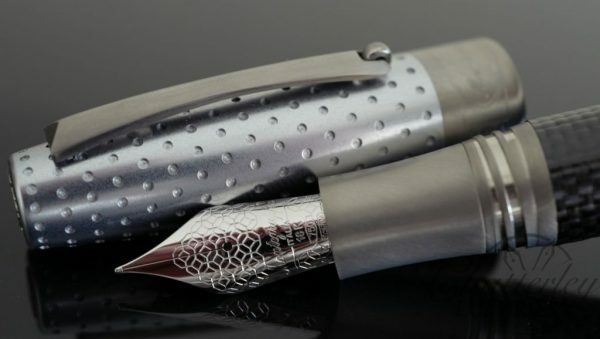 The satin dimpled aluminium, used for the pen cap and the barrel end, and striking for its swish iridescent hue is underlined by the matt-effect of the lead-grey titanium, applied to junctions and signature clip. The Extra Hi Tech fountain pen can be filled both with cartridge or converter, and is fitted with an 18K gold nib with ebonite feeder. Available in EF, F, M, B and Stub nib sizes. 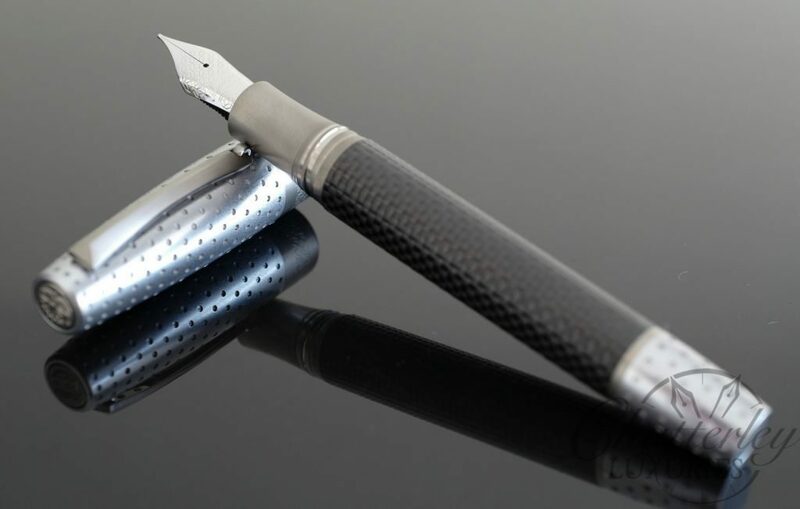 Limited to 250 hi tech fountain pens and 250 hi tech rollerballs and are packaged nicely in a black lacquered wooden box, complemented with a certificate of authenticity. 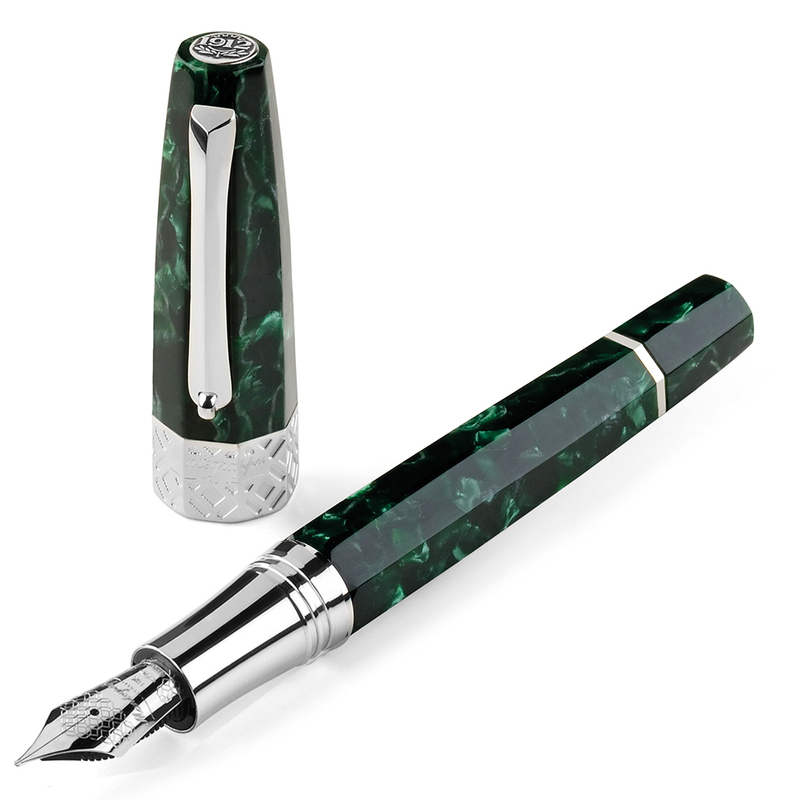 Please note that some of the pens come from Italy with either the Greek key Design or the Diamond Design. 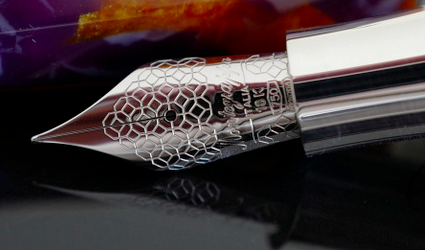 As of right now we only have the Diamond Design pictured below, with the exception of one Greek Key Medium nib left. Please inquire before purchasing to ensure the Greek Key is still available if that is your design of choice. 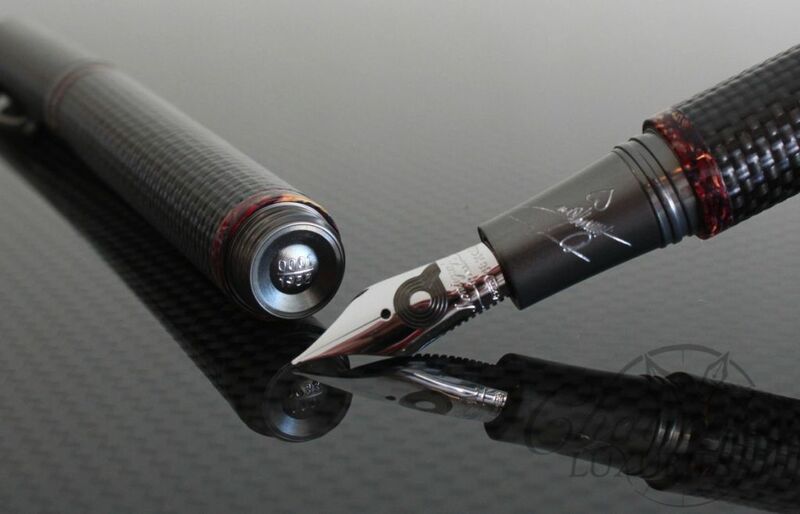 Both nibs will write the same, its just the look that is slightly different.